There are so many reasons why you could want to do some bit of freelance writing online, maybe it’s a new idea you’ve just heard about and you like the benefits. You could make a career out of it and earn a decent living. As with every other emerging career, freelance writing is plagued with various myths – some you’ve heard already and some you’re yet to hear. The sweetest promise is the opportunity to work from home at any time be it day or night, and you could make some good money working from home. There are a few other hearsays that may try to convince you that it’s not worth the effort or it’s not a real career or job. This is a common myth floating around the Internet on freelance writing websites convincing to join their community and become a successful freelance writer. It’s a myth that has come alive and now exists in the community of writers. You should take a break and see what the reality is. The promise of good pay will come much later than what you expected. At first, it will drain you of all your energy and you will feel overburdened with all the writing. Your earnings from your first writings will be low and discouraging. Nobody is willing to pay too much to someone who’s writing skills have not been tested. 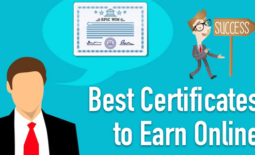 You will have to be an experienced writer for you to be making an attractive earning. You will build up your experience first by building up your network of writing partners and your client base. Before you start depending on your writing for survival, you should ensure that you have enough survival resources to last you a couple of months, say 3. When you start off as a full-time writer, it’s not advisable to solely depend on your pay for the first few months as no one will be willing to start you off that well. This will, of course, be liable to taxation which you should also consider, as well as the amount you will be required to pay in insurance premiums. This is the shakiest myth that can discourage you, should you pay attention to it. The only place you could ever get freelance writing experience is from actual writing. You can only advance in writing if you have a starting platform. In the world of blogging, your reputation can be equated to how solidly you present your ideas which will form the basis of judging your personality. It is possible to get your first post as a guest post. You don’t need to start off writing trending articles for big blogs and publishers. Your guest posts could be your spring board to success. Get your spirit out there no matter what platform you utilize. You will get noticed no matter where you stand and humble beginnings usual are easy to come by. In freelance writing, you need to be Flawless in English for your work to pay well. You must be an English major grad for you to be accepted in freelance writing. You don’t need to be an English major student to be a freelance writer. All the editors care about is the content of your writing and its value. If you present good value content the editors will hand it over for proofreading where all mistakes will be removed and edited into a proper presentation format. What you need is to deliver content that is original and of notable value, and of course, your work will most likely be accepted. The age of globalization is here. On a daily basis, the world is becoming a smaller and smaller village. Money used to be a challenge to move across borders. Receiving foreign transactions used to be challenging and cumbersome, not mentioning the hefty fees banks demanded foreign transactions. Those days are long gone. Nowadays, affecting foreign transactions is almost equivalent to depositing a check at your local bank. All you need is an online payment processor, for example, PayPal which is one of the most popular and is the default go to option for online money transfer services. PayPal to PayPal transactions are instant and you only get to wait for about 3 days for to receive your money in your local account. Many local banks are now loosening the stringent processes that existed in the earlier days as the competition from online and mobile banking increases. They have been forced to close because of this completion and the remaining are struggling to convince their clients to transact, if not begging them to retain membership. 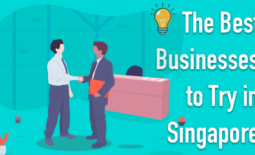 You might be lured into freelance writing by the thought of being your own boss and not having to deal with all the office bureaucracies and pointless endless meetings. You won’t have to go to work when you don’t feel like and you won’t be forced to carry out any duties that you don’t want to. If you’re ever to become successful in freelance writing, you’ll have to understand that you’re running a small company. You will be responsible for all the management and performance of your company. The performance part of your company might be discouraging at first but you get into it as you go by. The aspect of the meeting will just shift as you will have to conduct meetings, be it online or physical, with clients for you to be considered worth being given a chance to perform. As your experience grows, you will learn how to manage your time, clients and running the business. There are many online tools that are designed to aid you in this aspect and have proven to be very effective. You can work at your own schedule because no one can dictate your timetable as you are your own boss. You can finish your work and jump into your other activities at your own will. As a freelance writer, it means that your schedule is never fixed and can shift on a very short notice. You might think that your time is your own and you are in control of your own schedule but in the real sense, you are still tied down to work. You must write for you to get paid. You might be free from work the entire day but get engaged as from11 PM to 3 AM! Your next order might come at an inconveniencing time like on a Sunday afternoon. If fact, there exists a danger of overloading yourself with work just to get some extra pay. Working from bed, no fixed schedules no bosses. This might lead you to thoughts of a less stressful job. You just got more stressfully busy. For the first few months, you will be forced to write and write and write to get more clients and experience to deliver quality work. In fact, the busier you are during this period is a good indication that you’re heading in the right direction. The demand for online content is ever growing as many markets continue to emerge, there is now even a demand for college paper writing. So, go ahead and get that experience. 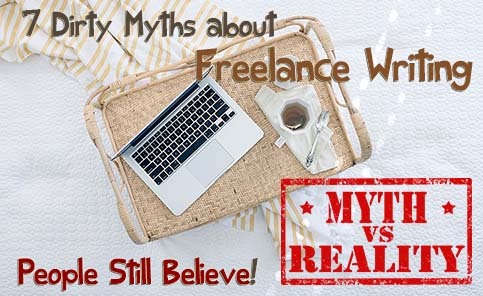 There are several other myths about freelance writing that you are bound to hear or come across. Analyze them to check their legitimacy before you believe them. It’s so frustrating to find out what you took for truth is a mere baseless idea! Bio: Christina Battons is a web content writer and blogger from LA. I am a graduate of the University of Southern California. Currently, I write for various blogs. I am interested in topics about education, writing, blogging. My writing I use as a tool to further the education of others. You can connect with me on Twitter. I’ll be happy to hear you, just drop me a line!